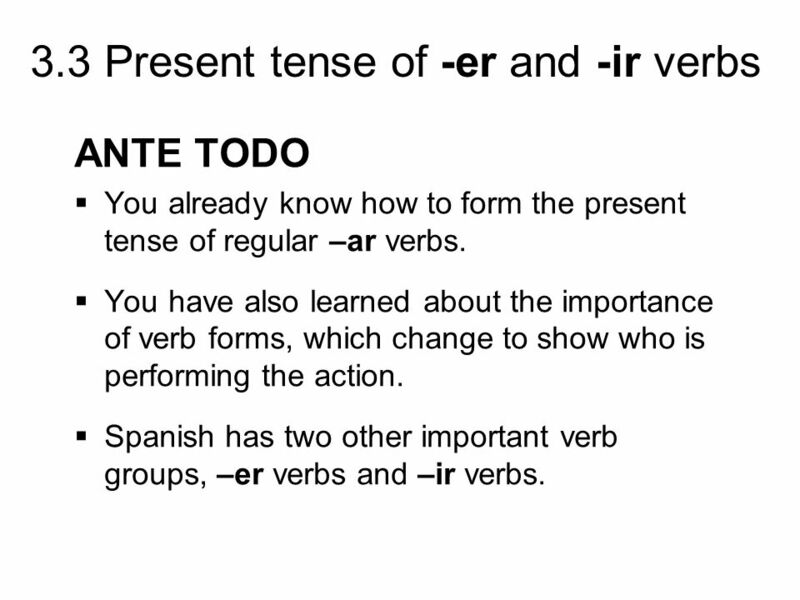 1 ANTE TODO You already know how to form the present tense of regular –ar verbs. 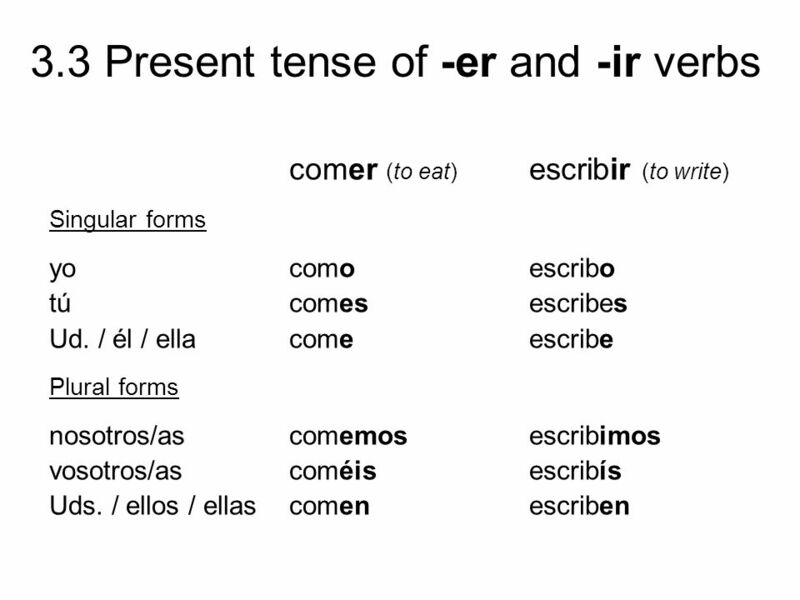 You have also learned about the importance of verb forms, which change to show who is performing the action. 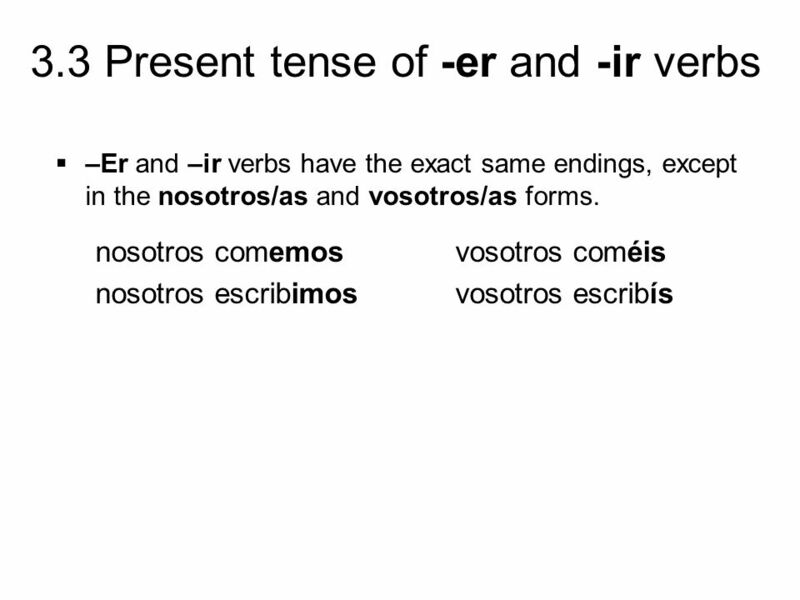 Spanish has two other important verb groups, –er verbs and –ir verbs. 6 ¡INTÉNTALO! 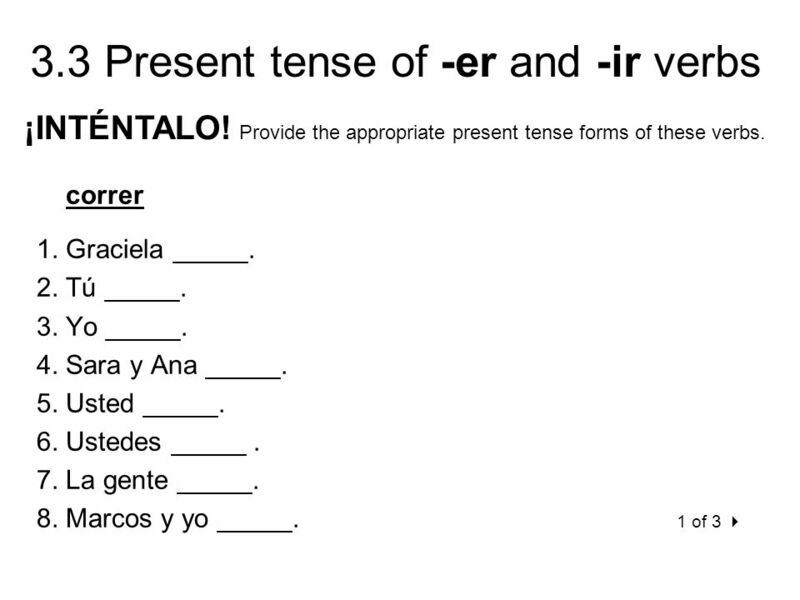 Provide the appropriate present tense forms of these verbs. 7 ¡INTÉNTALO! 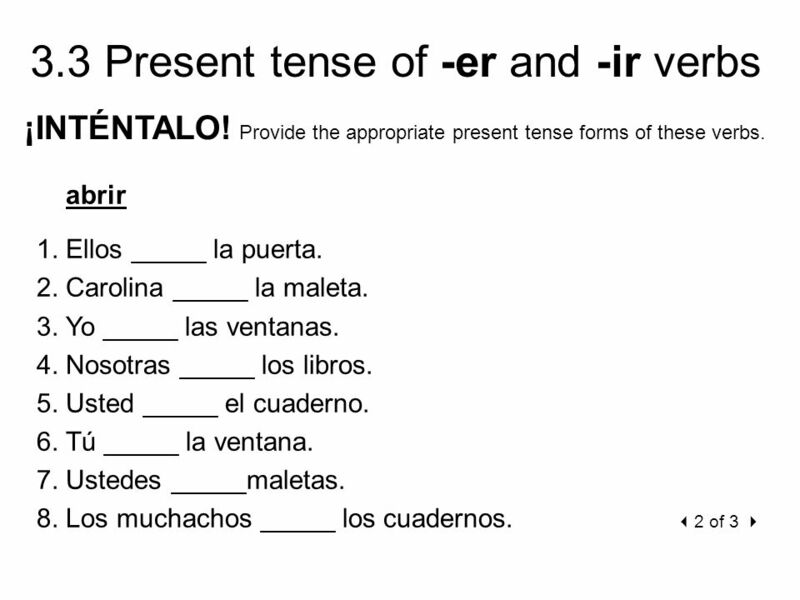 Provide the appropriate present tense forms of these verbs. 8 ¡INTÉNTALO! 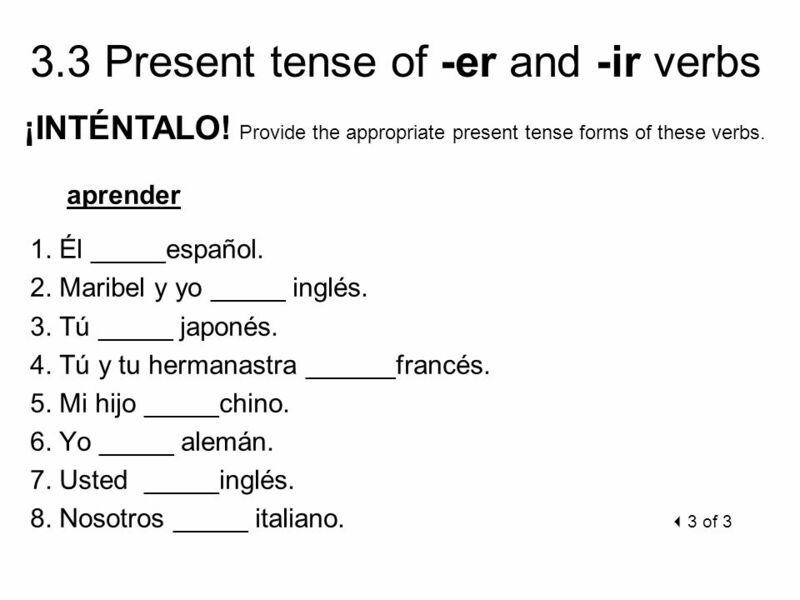 Provide the appropriate present tense forms of these verbs. 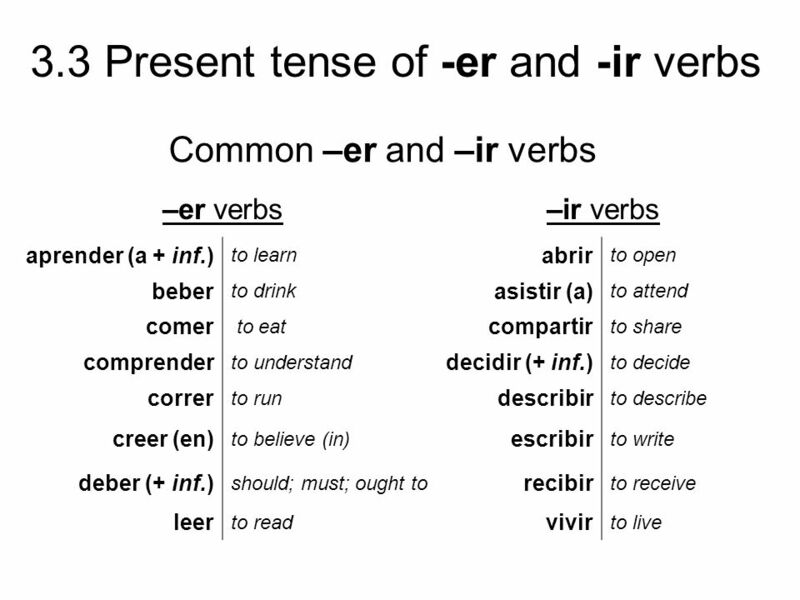 Descargar ppt "ANTE TODO You already know how to form the present tense of regular –ar verbs. 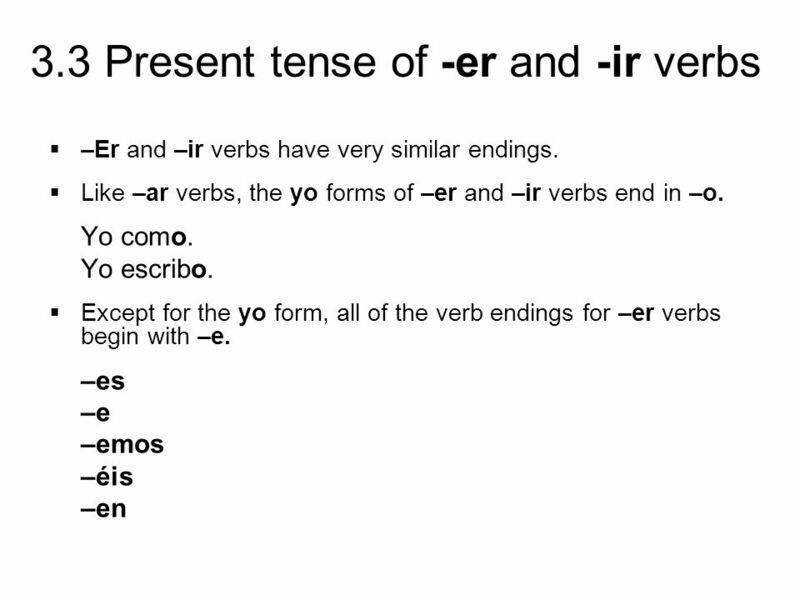 You have also learned about the importance of verb forms, which change to."